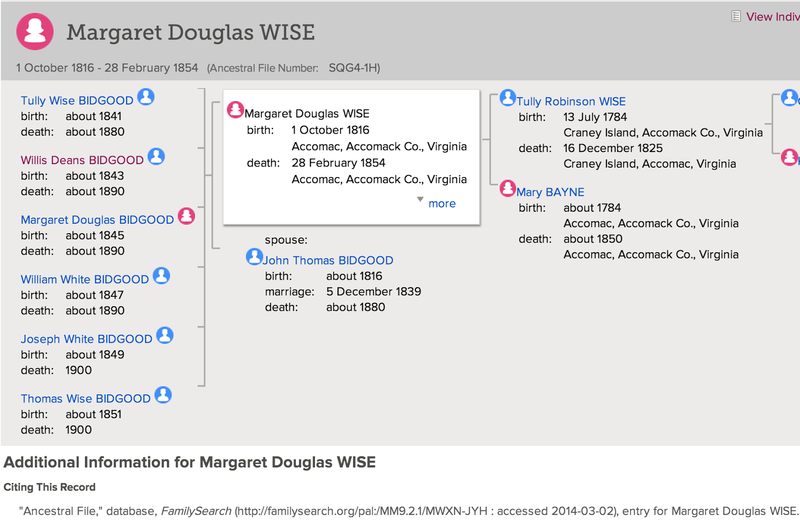 Isaac Baynes was my great great great grandfather. He proudly served in the Civil War as a member of the Union Army. It was an incredible service to the country, his country; a country who had only recently deemed him human enough to be deserving of certain unalienable Rights. Yet despite a lifetime of oppression, he chose to answer the call of the U.S. War Department and enlist in the 10th Infantry Regiment of the Corps d'Afrique (later known as the USCT). NOTE: The War Department issued General Order 143 on May 22, 1863, creating the U.S. Colored Troops (USCT); by the end of the war roughly 179,000 black men (10% of the Union Army) served in Army and another 19,000 served in the Navy. Isaac was born into slavery. I'm still working to both find and put together the pieces of his life. But so far, I've been able to determine guestimate that he was "owned" originally by the Baines/Baynes/Bain/Bayne family (who were somehow related to the Bidgoods) and later by Thomas W. Mackey (1813-? 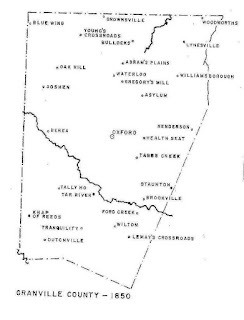 ), all of Norfolk County, Virginia. Isaac's wife Ellen (and their children) were "owned" by John T. Bidgood (1804-?) of the Western Branch of Norfolk County, Virginia. Ellen's maiden name is listed as Bidgood/Bedgood. Thus, my guess that Isaac was not originally owned by John T.
It appears from this tree that John T.'s wife's mother's maiden name was Bayne. Interesting for sure, but a long shot nonetheless. But so far, my guesses/hunches/long shots have been panning out. So I'm going to go with it and dig a bit deeper. In any event, somehow Isaac and Ellen's paths crossed. And in November of 1852, John T. gave "permission" for Isaac and Ellen to be wed on John T.'s property. 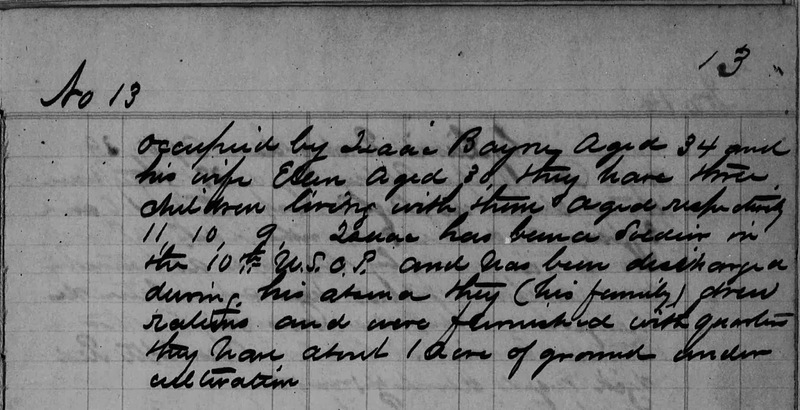 Isaac and Ellen went on to have at least three children prior to Emancipation: Adoniram J. Bains, Zachariah Bains (my great great grandfather), and Levi Bains. 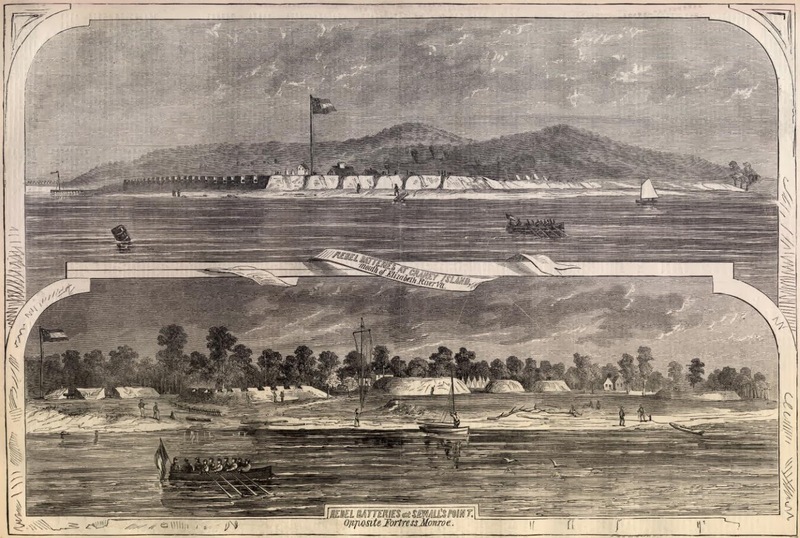 Somehow, before 1863, Isaac and his family made their way to a contraband camp -- possibly part of the Grand Contraband Camp -- in Norfolk, VA. Many of the records I've found so far are undated, so it's difficult to construct an accurate timeline. However, at some point after leaving their respective plantations, on November 25, 1863, Isaac enlisted with the 10th Regiment of the U.S. Colored Infantry, in Company E. He mustered in on Craney Island, which wasn't far from the contraband camp or where he had lived previously. What I don't know is if they ran away or were for some reason allowed to leave. I believe it may have been the latter. More on that below. I know that Ellen and the children lived in the camp while Isaac was away at war. More about her life there can be found in my previous post on Ellen. But at some point, Isaac returned to the camp and his family and lived there with them on a piece of property located on Henry A. Wise's farm. 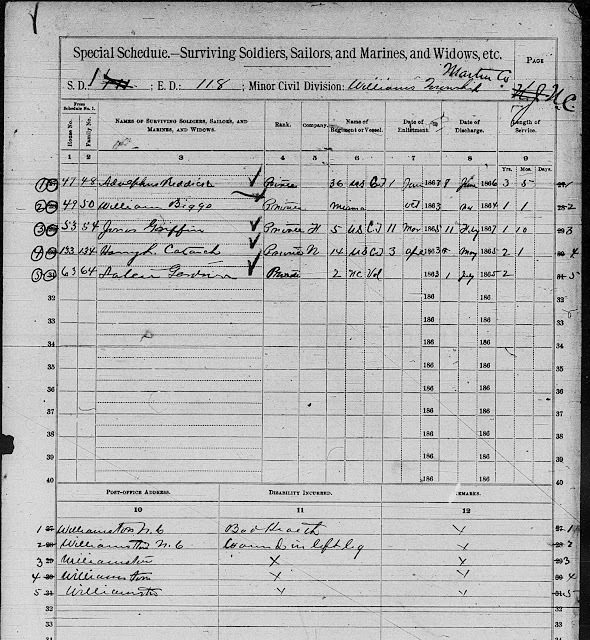 Isaac was honorably discharged on May 17, 1866 in Galveston, Texas. Prior to that he had spent a year serving along the Rio Grande. That must have been an amazing experience for a former slave who had lived his entire life (presumably) in Porstmouth, VA. Traveling to Texas, alone, must have been an adventure, and I can only imagine what it was like in those early days of Texas statehood. He likely would have interacted with both native Texans and Mexicans. He also may have met quite a few former slaves who had gained their freedom by crossing the river to seek freedom in Mexico, which had abolished slavery in 1828, but had returned to Texas. Somehow he found his way back to Virginia (and didn't abandon his family like many soldiers did during that time). Unfortunately, it seems he may have been injured while serving in the Army and was hurt again, this time mortally, soon after returning home. 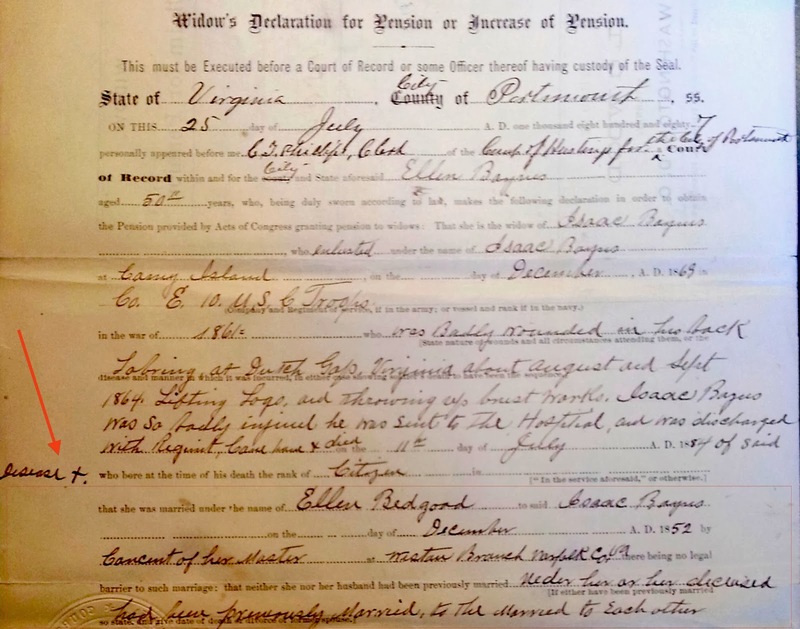 According to his wife Ellen's Widow's application for Civil War pension (I went to the National Archives to view and copy these records), Isaac was treated for Rubella -- measles -- but according to the Army records, he suffered no other injury. This contradicts what his wife said. Isaac Baynes was a farm laborer and was killed by the falling in of the roof of the camp shelter where he slept. He was employed at the time by Mr. John West in clearing up some land, and did not go home except on Saturday nights as it was some distance from his home to his work. Mr. West is now dead. Whether he died from injuries suffered during the war, or as a result of an accident on a work site, it's clear that Isaac Baynes lived in challenging times. 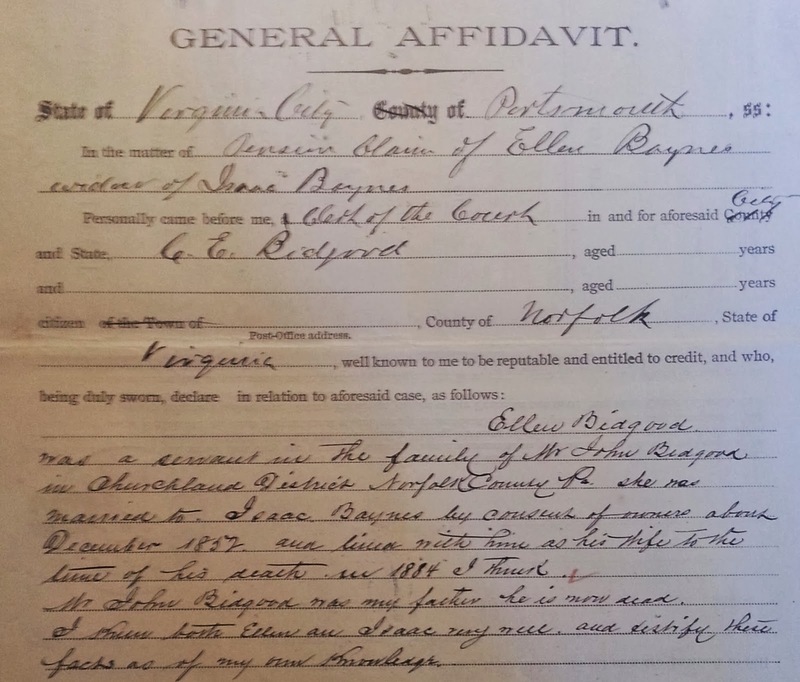 Ellen Bidgood was a servant in the family of Mr. John Bidgood in Churchland District Norfolk County, VA. She was married to Isaac Baynes by consent of owners about December 1852 and lived with him as his wife to the time of his death in 1884 I think. Mr. John Bidgood was my father he is now dead. I knew both Ellen and Isaac very well and testify these facts as of my own knowledge. 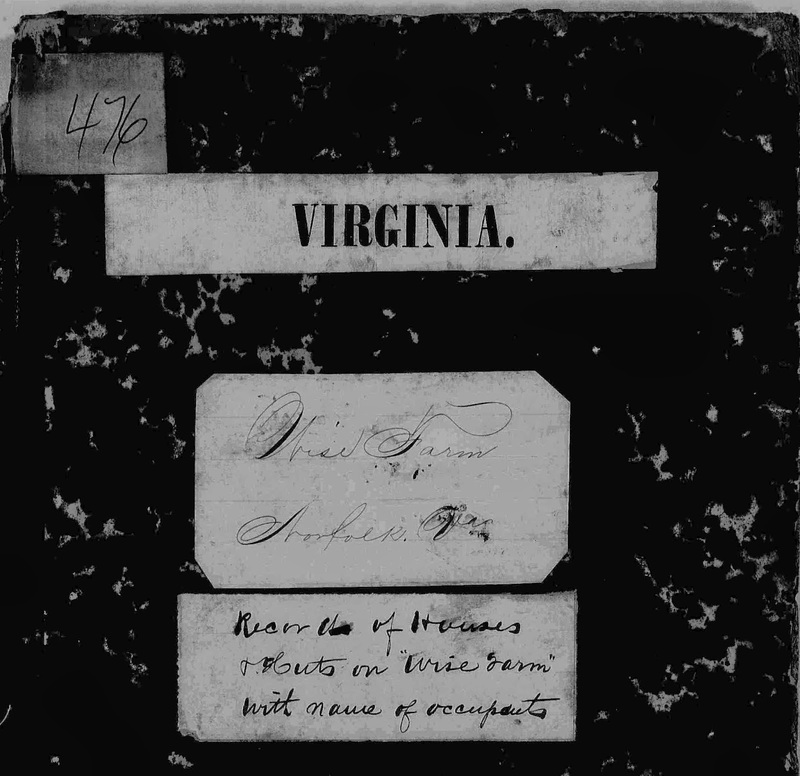 This is the piece of evidence that I found most intriguing, and casts some doubt on the theory that Isaac and Ellen ran away to the Union Army. I would imagine that if their "owner" was that bad -- enough for them to want to escape -- than his son likely would not have helped Ellen obtain a pension. It also is quite possible that the father -- John T. Bidgood -- was awful, and his son was much nicer [or perhaps Ellen raised C.E. and he had an affinity for her]. Whatever the reason, it makes me feel a little better that my great great great grandmother's former "owner(s)" may have been a decent person/people. The last few family history clues I found in Ellen's Civil War widow's pension file, were the names of two possible relatives -- Miles Baynes and Willis Mackey. I've seen Miles listed in the contraband camps with Isaac and Ellen, and both Miles and Willis appear in the pension application file as affiants. Moreover, I also found two marriage records for Miles in which he lists his parents as William and Lucy Bains; the same names (and spelling) of Isaac's parents! Willis Mackey has the same surname as the slaveholder of Isaac. So he likely was on the same plantation as Isaac at some point. An affidavit included in the pension application indicates that Willis was present at the marriage of Ellen and Isaac. So I don't know if he's a relative, but he is certainly close enough to them to be some manner of relative (blood or otherwise). As always, there's more to do, more answers to find, and more ancestors to uncover...the search continues. Detachment at Plymouth, N. C.
Thanks T! I hope so. I agree completely. What a wonderful service you are doing for your family. And such an interesting puzzle to figure out.